If hitting backcountry kickers & skiing big pow is your thing, the Scratch BC is the ultimate ride. It floats through powder as well as it flies through the air. 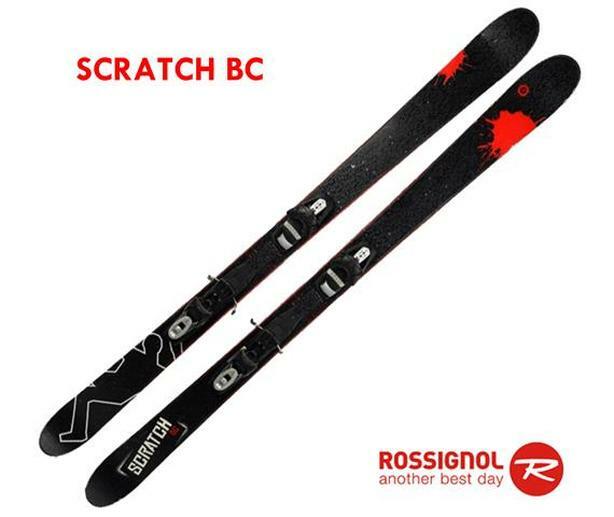 However, the Scratch BC is just as suited to a day riding the park as it is to hiking for backcountry kickers, turns over quickly on groomed runs and holds a solid edge on icy slopes. If you seek out powder after a storm, ride the park most days and like to carve big turns on groomers between it all, then Rossignol Scratch BC skis are for you.